An existing basement storage room was insulated and finished out into a new master bathroom. We managed to artfully fit four fixtures into the compact 7 x 9 foot room. 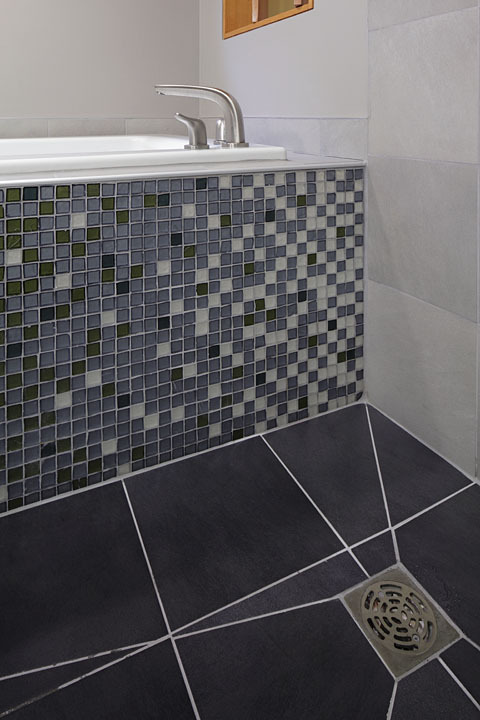 The entire tiled floor slopes to the drain under the sunflower shower head. 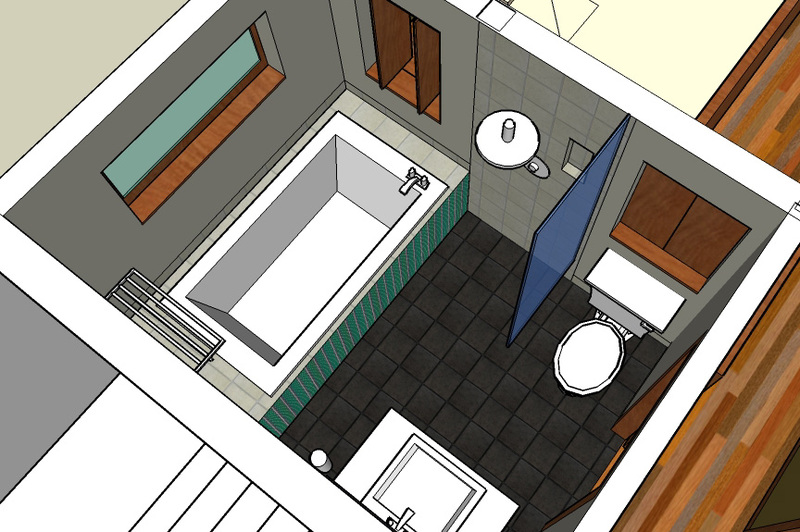 A full height glass partition maintains the openness of the room while providing wet and dry zone separation of the soaking tub and shower from the lavatory and toilet. Custom wood shutters to the adjacent master bedroom pivot closed for privacy or open for a more spacious feel. An exquisite Oceanside glass tile gradient mosaic at the tub apron and the floating vanity cabinet add modern zest to the space.